Excellent High ISO performance up to the maximum 3200 setting. 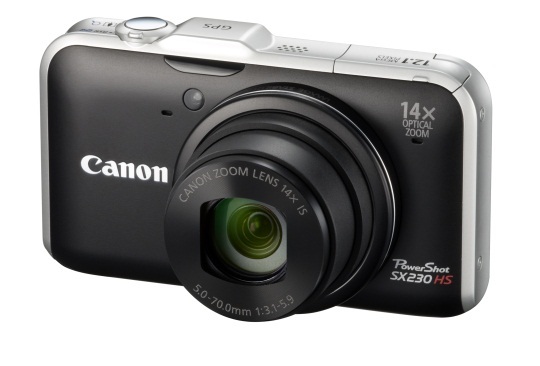 The Canon PowerShot SX230 HS offers some very appealing options stuffed inside its petite frame. We were pleased with the camera's overall image quality and shooting performance, with only a few annoyances, many of which have been carried over from its predecessors. Overall the camera offers a great value if full HD video, long telephoto reach, and built-in GPS are among the features you desire. Read more in our Full Conclusion. In addition to the ELPH lineup of HS enabled cameras, Canon has also released the PowerShot SX230 HS; their first GPS enabled camera. Highly useful for travel heavy vacations or trips, the SX230 HS uses a dedicated receiver to record latitude, longitude and altitude for each one of your photos. This information is stored within the EXIF data of each picture, and the included Map Utility software allows you to view where you captured photos using maps supplied by Google Maps. There's also a Logger feature that allows you to track your trip, then display an outline on the map when you upload your photos to your PC later. Beyond the GPS functions, the PowerShot SX230 HS offers 1080p HD recording, a 12.1-Megapixel High-Sensitivity CMOS Sensor and a 14x optical zoom with image stabilization. The camera also comes equipped with a 3.0 inch LCD screen, Smart Auto functionality and Canon's HS system for higher quality low-light photos. 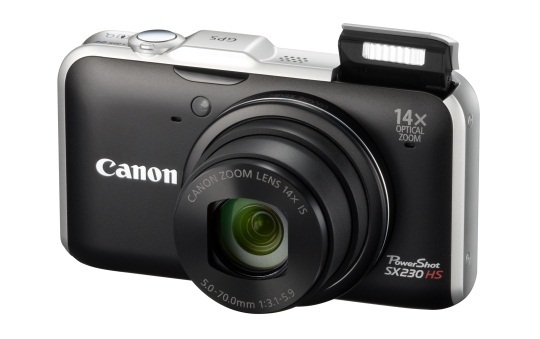 The Canon PowerShot SX230 HS is available now with a suggested retail price of $349.99 US.